Manuel G. Cruz has produced the best folk art I have encountered in Los Angeles. 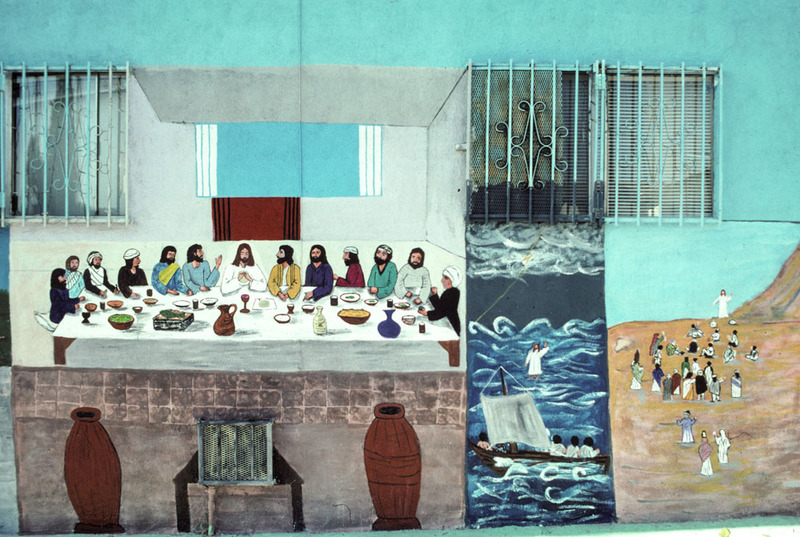 Through his religious and historical murals, he proves himself a good storyteller and colorist, with figures inhabiting dry, treeless California landscapes of brown hills, cacti, agave plants, and lakes. He also decorates the exterior walls of shops with scenes displaying their products, purveyors, and customers.